OTC Alumni are one of a kind, comprising graduates that have successfully completed vocational and academic courses at the Sultanate’s first specialized college serving the tourism and hospitality sectors. In-line with Oman’s rapid advancement in the respective sectors, OTC is growing in terms of its student population, facilities, courses, and academic partnerships, as well as the range of prospects available following study. On this emerging portal visitors can gain insights on the college, student life at OTC, the learning journeys of young graduates, and alumna’s professional development following graduation. We encourage readers to go a step further and learn from those who know us best and follow OTC’s ever-growing number of inspirational stories from former students; moreover, enroll in a course and join the national workforce to apply your skills as the Sultanate of Oman works towards its vision of becoming a world-class tourism destination. OTC graduates who wish to join our Alumni network and share their success stories, can fill in the form https://otcalumni.wufoo.com/forms/alumni-form/ or contact us for any clarification. Now 35 years old, Fahad Al Ghazali is a well-established operator in the field of aviation. 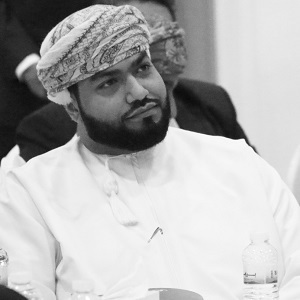 Since leaving school he has enjoyed a variety of positions in Oman and beyond, focusing on hospitality and training with standards representative of the world’s leading airline and its premium brand, as well as Oman’s national carrier. After touch-down in the Emirates Fahad returned home as a member of cabin crew and joined Oman Air, where he soared through the ranks in service delivery before becoming a trainer, conducting hospitality audits before undertaking his present role in the airline’s service standards section. Not long after OTC was established Fahad became aware of the national drive for tourism and the level of investment being made across the Sultanate. As an emerging industry preparing for ‘wheel’s-up’, the government’s call to action was somewhat inspirational and prompted Fahad to seek greater insight from the college as a unique educational entity. Following his consultation he went forth to enroll on a Higher Diploma course in Tourism and Hospitality Management, which he completed in 2005. Fahad enjoyed a subtle sense of self-discovery during his placement at Muscat’s Intercontinental Hotel, a part of his course organized by OTC. As a advocate of experiential learning OTC ensures practical placements for its students, where Fahad reportedly learned every inch of the venue after getting a taste for each and every junior job across the operation; ranging from laundry to room service, catering and cleaning. Upon reflection, he noted the realization of a healthy work ethic and willingness to start from the bottom in his rise to the top. Fahad’s work experience complemented his theoretical learning at OTC and the skills nurtured by his course, including personal skills, English language, social perspectives, communication, and critical thinking. Upon entering the world of work Fahad understood how his learning and personal growth at OTC was applicable in his employment as a customer service agent and hospitality professional for the travel and tourism industry. Fahad graduated Oman Air’s Train the Trainer program before being recognized by the company’s Chief Executive Officer for his performance. Capturing the attention of senior leadership, Fahad has taken the lead on important projects that have come to define the brand’s measure of hospitality, quite literally ‘writing the book’ on service standards for Oman Air. A graduate of OTC’s vocational courses, Ibtisam Al Salmi’s rofessional skillset as a tour guide romotes Oman whilst abroad furthering her success as one of the Middle East’s first professional female sailors. As one of few established female tour guides nationwide, Ibtisam enrolled for OTC to enrich her understanding of the industry and the skills involved on a two year professional development course. She undertook her training for the dual purpose of being able to grow professionally in tandem with Oman’s rapidly expanding tourism portfolio, as well as to enhance her communication with non-Arabic speakers on a global scale, during their visits to Oman and her participation in events abroad. 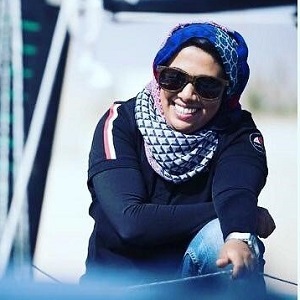 As part of her curriculum Ibtisam was connected with Oman Sail for the purposes of experiential learning, since which she has embraced a plethora of subsequent opportunities and gone forth to qualify as a sailing instructor, captain the women’s team, and represent Oman globally. Ibtisam enrolled at OTC with a conscious commitment to advance herself professionally with a firm focus on what she said were ‘outstanding opportunities’ for advancing her linguistic capabilities. Amidst her activities as a student Ibtisam was tasked with managing student trips and guiding groups to raise her proficiency and contribute to the interactions she sought in advancing her language skills. She reported that this enabled her greatly as a sportsperson and a sailor of growing repute across Europe and the Middle East. Now sailing for 7 years on single-handed boats Ibtisam is a recognized international competitor, most recently partaking in regattas held in France, Germany, Spain, and the United Kingdom, with the Sailing Arabia Tour posing a new challenge for the team in 2019. As Skipper of the crew Ibtisam is leading the team’s preparation for a major change, as they will participate in a new type of boat. She described the vessel as much faster with increased difficultly in terms of maneuverability; nevertheless she remains confident as she readies the Womens Team at Oman Sail. Ibtisam is responsible for all aspects of the team, with duties that involve general management in logistics and communication, to the daunting focus of health and safety during races and practice sessions. She now aspires to further her success and reach the podium once again at various upcoming competitions, with additional endeavors committed to increasing the number of female sailors in Oman as the local sporting culture continues to grow. As one of the very first to attend Oman Tourism College in its inaugural year, Mohamed graduated following 3 years of study achieving a Tourism Management Diploma. With high hopes for producing competitive tourism professionals and academics, OTC’s course curricula was deliberately heavy throughout its early years. Mohamed reported that this proved helpful in preparing him for the world of work and the application of knowledge during his career. 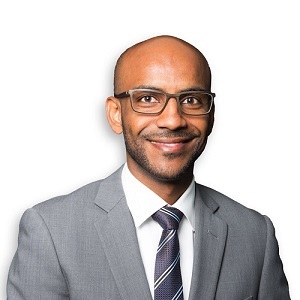 Mohamed’s first position was at Mark Tours in the rental and transportation department, followed by a number of moves across different divisions in the company. Whilst diversifying his skills in different areas, he found that those who want to lead must go ‘beyond the call of duty’. He advanced quickly within Mark Tours. After working as a Reservation Clerk, Mohamed was promoted to Supervisor and then Assistant Manager. He worked overtime and involved himself in as many areas as possible, until he earned his current title and a position. Reflecting on his days at OTC Mohamed applauds the growth of the college, the development of its programs, and its support for the nation. The growth of Tourism is now a major component of the national economy, with travel and tourism providing 75,0000 jobs across the local market in 2016 alone. Since then national initiatives such as Tanfeedh, in addition to other infrastructural projects, have bolstered that number in significant proportions.